Alabama Enclosed Cargo Trailers keep the Yellowhammer State productive. Shore 2 Shore Trailers offers the best-enclosed cargo trailers on the market today. First of all, we are known for being the leading enclosed cargo trailer company on the East Coast. If you are looking for a new or used enclosed cargo trailer in Alabama, buying from Shore 2 Shore Trailers can save you a lot of time and thousands of dollars. Being a factory direct dealer, having your best interest in mind is our top priority. No matter what your trailer needs are, you have our promise to always provide you with the finest service and products that won’t be found anywhere else. If you can’t make the drive to Douglas, GA we offer delivery to anywhere in the state of Alabama! Alabama enclosed cargo trailers is right for you! Moreover, at Shore 2 Shore Trailers we offer the widest variety of sizes and options available for you to choose from. Some include standard trailers, car haulers and motorcycle trailers. Are you looking for an 8.5 x 24 car hauler? Not a problem. Or, would a 7 x 16 tandem axle enclosed trailer better suit your needs? You have come to the right place. Also, we can customize any trailer to suit your business or personal needs. World Class Customer Service, Small Town Customer Care! First of all, Shore 2 Shore offers top-notch enclosed trailers. Purchasing an enclosed trailer from us can spare you a ton of time and a huge number of dollars. Likewise, when you choose Shore2Shore, you’ll get the best reliable service. We have enclosed concession trailers, enclosed race car trailers, enclosed utility trailers, and much more. Also, boost your business and take it to the next level by obtaining our beautiful quality enclosed trailers. The brands we sell are intended to rise above other trailer brands out there on the market. 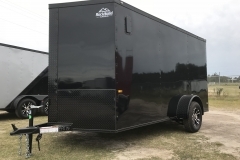 When purchasing an enclosed trailer from Shore2Shore, you can rest assured that the best assembling, proficiency, and sturdiness has gone into your purchase. After all, this is an important investment you have decided upon, and you need uncompromising service. So, choose us to provide you with your next enclosed trailer purchase. Make a stride towards your business’ prosperity with top-notch enclosed trailers immediately. When you call Shore 2 Shore Trailers, you’ll get knowledgeable and experienced staff to speak with. Our sales team will help you choose or customize the right enclosed trailer to meet your needs. Being a factory direct dealer, having your best interest in mind is our top priority. No matter what your trailer needs are, you have our promise to always provide you with the finest service and products that won’t be found anywhere else. If you can’t make the drive to Douglas, GA we offer delivery to anywhere in the state of Alabama. We Offer Diverse Options and Sizes in Enclosed Trailers. At Shore 2 Shore Trailers we offer the widest variety of sizes and options available for you to choose from. Some include standard trailers, car haulers and motorcycle trailers. Are you looking for an 8.5 x 20 car hauler? Not a problem. Or, would a 7 x 16 or an 8.5 x 32 tandem axle enclosed trailer better suit your needs? Looking for a concession trailer? You have come to the right place. If you don’t find what you are looking for no worries, we can customize any trailer to fit your specific business or personal needs. Don’t Throw Away Your Hard Earned Money On Overpriced Dealers! You will not find anyone more dedicated to providing you with the absolute best-enclosed cargo trailers at the cheapest prices than Shore 2 Shore Trailers. Check around if you need to, but remember to give Shore 2 Shore Trailers the opportunity before you purchase. You will certainly be glad you did. Save yourself time and money on your next trailer purchase. We go above and beyond to make sure that our Alabama enclosed cargo trailer customers have the best trailer buying experience here at Shore 2 Shore Trailers. 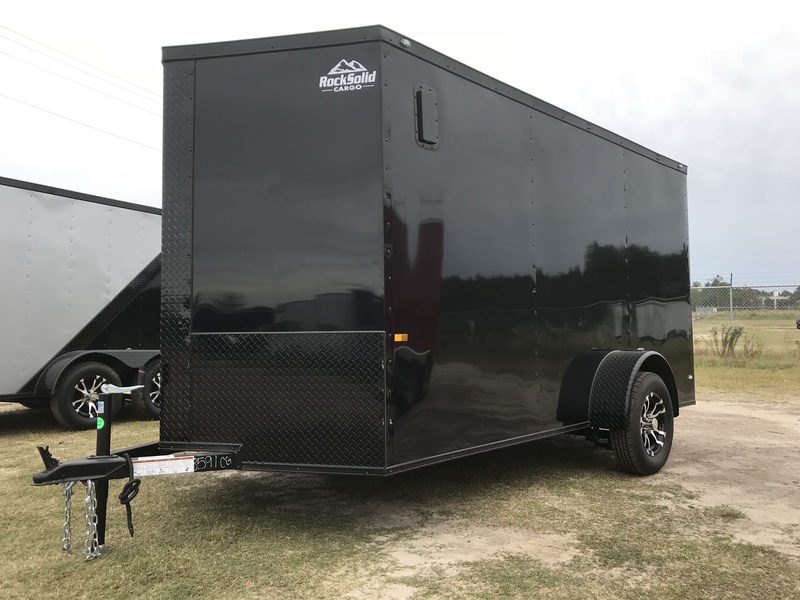 We have a wide variety of enclosed cargo trailer brands and manufacturers to choose from Rock Solid, Anvil, Spartan, Cynergy, Diamond & Empire Trailers just to name a few. Most of the brands we sell come with a 5-year manufacturer’s warranty. For more information about our Enclosed Cargo Trailers For Sale, call our team of professionals today at 1-844-732-2746. Our staff is ready to help answer any questions or concerns you may have about purchasing an enclosed cargo trailer. At Shore 2 Shore Trailers we go above and beyond to ensure that our Alabama customers have the best trailer buying experience. For other articles on trailer buying please visit our blog. Also, check out our ads for enclosed cargo trailers on Craigslist.